Copyright: © 2016 Bhushan K. This is an open-access article distributed under the terms of the Creative Commons Attribution License, which permits unrestricted use, distribution, and reproduction in any medium, provided the original author and source are credited. Periodontitis is a multifactorial chronic inflammatory disease characterized by destruction of tooth supporting tissues. Repair of the periodontium and the regeneration of periodontal tissues remains a major goal in the treatment of periodontal disease and is an area still in need of major research attention. Periodontal regeneration has come to the forefront of periodontal research and practice. Research regarding periodontal therapy has made it clear that standard treatment techniques do not result in periodontal regeneration. It has become apparent that, if the goal of periodontal regeneration is to be realized, the problem of regeneration needs to be approached from a biological perspective. One important consideration in periodontal regenerative attempts is the root surface which has become exposed to the oral cavity as a result of Periodontitis. In regenerative attempts the root surface functions as one of the wound margins and must provide an appropriate surface for cell attachment and fiber development if regeneration is to occur. Changes in the pathologically exposed root surface are well documented. Varying results from clinical and histological studies have created controversies about the clinical effectiveness of biomodification of root surfaces. This review attempts to provide an insight into the present scenario of root biomodification in clinical conditions along with an overview of related studies. Periodontitis involves an inflammatory process of bacterial origin, affecting the periodontal tissues and provoking the destruction of the supporting tissues of the teeth. Periodontitis causes pathological alteration of the periodontium seen as loss of connective tissue attachment to the tooth, loss of supporting alveolar bone and apical migration of the junctional epithelium along the root surface. The ultimate goal of periodontal treatment seeks to preserve the tooth in functional and comfortable good health, and at the same time maintaining the esthetic expectations of the patient . The rationale for chemically developing a biologically compatible root surface has emerged as a result of the structural and biochemical damage following exposure of the root surface to the oral cavity as a consequence of periodontal disease. These undesirable disease-induced alterations in and on the root surface include reduced collagen fiber insertion , alterations in mineral density and surface composition, [3,4] and root surface contamination by bacteria and their endotoxins [5-7]. Research regarding periodontal therapy has made it clear that standard treatment techniques do not result in periodontal regeneration, once root exposure occurs. Perhaps the oldest and most frequently attempted type of periodontal regeneration has involved chemical modification of root surface . The goal of this regeneration procedure is to determine the alterations of disease root surface that would create an appropriate and hospitable surface for cell attachment and eventually development of fibre attachment . Mechanical instrumentation (scaling and root planing) leaves a smear layer, which affects cell reattachment and can serve as a reservoir for microbial growth . Therefore, chemical conditioning of the roots has been performed to remove the smear layer and improve biocompatibility. After smear-layer removal, the dentinal collagens are exposed, and they are supposed to be a chemo-attractant for periodontal fibroblasts . The mechanism by which these chemicals operate on the root surface is not well understood, but it has been hypothesized that demineralizing agents act by exposing collagen fibers within the root matrix thereby facilitating attachment by other fibers in the periodontium, and/or by decontaminating the root surface via elimination of endotoxin and bacteria, and/or by removal of the root debris allowing for the unobstructive attachment of regenerative cells to the root surface . The rationale for this approach was that a major requirement of regeneration of connective tissue attachment to a denuded, periodontitis affected root is migration and attachment of connective tissue cells to the root surface . As early as 1833, Marshall presented a case of pocket eradication with “presumable clinical reattachment” after the use of aromatic sulfuric acid . In the 1890s; Stewart described the use of acids in conjunction with the mechanical removal of calculus and cementum . The potential of acid demineralization of root surfaces as an adjunct to new attachment procedures gained popularity following studies by Urist (1965) that suggested that dentin following acid demineralization possessed inductive properties . The results of the studies by Urist encouraged Register, et al. in (1973) to perform the first controlled study on the use of acid on root surfaces. They investigated whether new attachment, cementogenesis and osteogenesis could be induced adjacent to tooth roots demineralized in vivo. Optimal cementogenesis and new connective tissue attachment occurred when roots were demineralized with citric acid, pH 1.0 for 2-3min . A.M. Polson and M.P. Proye studied the effect of citric acid treatment of the denuded root resulted in new connective tissue attachment, and the response appeared to be dependent upon early establisment of fibrin linkage with the root surface . Terranova, et al. in 1986 have shown that the tetracycline treatment of root surface suppresses laminin binding and epithelial cell growth and attachment . Several studies have reported controversial results regarding the use of root surface conditioning. Sture Nyman, Lindhe, and Karring studied the healing following surgical treatment and root demineralization in monkeys with periodontal disease reported that citric acid conditioning of the root dentin surface did not promote cementum formation and new connective tissue attachment . These findings have provided the basis for later studies using root surface demineralization in periodontal regeneration attempts in both in vitro and in vivo model systems. Hence root biomodification procedures have been introduced by using a variety of agents to detoxify, decontaminate and demineralize the root surface, thereby removing the smear layer and exposing the collagenous matrix of dentin and cementum . Since then various root conditioners have been used which include e.g., citric acid, tetracycline HCI, EDTA, phosphoric acid, and hydrogen peroxide, enamel matrix proteins, recombinant human growth factors, platelet-rich plasma, and dentin bonding conditioner. In addition to chemical conditioning, the applicability of different laser systems, such as the CO2, Nd:YAG diode, and Er:YAG laser in the removal of the smear layer has been demonstrated. Various methods for root conditioning have been attempted. These include mechanical methods, chemical methods, growth factors and lasers . Mechanical modification of root surface involves scaling and root planing. This includes removal of cementum, removal of softened dentin, or the smoothening of surface irregularities. Although, the effectiveness of scaling and root planing has been well documented, its efficacy in making the root surface disease free has been questioned, since such root modification may not completely remove contaminated cementum particularly in apical areas. A smear layer will inevitably cover the instrumented surface. Thus alternate approaches were suggested to overcome the limitations inherent in the mechanical root cleansing therapy . Root surfaces affected by periodontal diseases can undergo structural and chemical changes due to the effects of cytotoxic and other biologically active substances from periodontal pathogens [21-23]. This bacterial contamination prevents the reattachment of gingival and periodontal cells and cannot be reversed by the use of conventional scaling and root planing procedures alone, as they are not able to fully eliminate the infection due to the production of a compact smear layer [22-24]. Because the presence of a smear layer is unsuitable for reattachment of periodontal connective tissue, the purpose of surface demineralization is to recreate a biologically active substrate for periodontal cellular reattachment [24,25,11]. Therefore, chemical conditioning agents are often used to help remove root surface impurities including minerals and cytotoxic materials derived from bacterial products [26,27]. Various chemicals have been used on root surface to remove the smear layer, thus promoting healing and further enhancing clinical outcomes. The application of growth factors on root surface to enhance periodontal regeneration has also been focus of research recently. Lasers have been used to remove smear layer from the root surface. Citric acid: Citric acid was suggested for smear layer removal by Register and has been studied extensively . It contains two or more groups in its molecule which can combine with calcium and act as chelating agent. It can participate in surface exchange; with citric ions replacing phosphate ions in the hydroxyapatite crystals. Citric acid acts on dentinal hydroxyapatite by releasing hydrogen ions which demineralizes the crystalline structure . It has been shown that citric acid demineralization enhances new attachment/reattachment and regeneration by antibacterial effect, root detoxification, exposure of root collagen and opening of dentinal tubules, removal of smear layer and by initial clot stabilization. Citric acid has been shown to produce more clot stabilization on dentin surface than tetracycline hydrochloride, ethylenediamine tetraaceticacid (EDTA), sodium citrate or a saline solution . Register reported reattachment of collagen fibers to previously denuded root surfaces following treatment of root surface with citric acid (pH 1.0) and application time of 2-3 minutes . It has been demonstrated that application of citric acid (pH= 1) for 3 minutes using a rubbing pressure on the surface results in a complete removal of smear layer and exposure of smoother root dentin surface with relatively wide dentinal tubular openings (flared or funnel shaped) even up to 8.88 μm [31,32]. A set of histological studies were conducted to evaluate regeneration following application of citric acid to root surfaces. The pH of the acid ranged between 1-3, and the duration of application was between 2-5 minutes. The results showed connective tissue regeneration (1.2-2.1 mm) following acid treatment. On the contrary, a study on monkey models determined that citric acid application did not promote formation of new cementum and connective tissue . It was seen that a 3 minute application of citric acid pH-1 to the root surface after SRP demineralised the outer root surface, opened the dentinal tubules and exposed the collagen fibres. SRP alone left the surface with a smear layer, scattered islands of cementum and no collagen fibres or exposed dentinal tubules . Some drawbacks associated with citric acid application include formation of extremely acidic environment in the surrounding tissues, which may result in unfavourable wound healing responses . Its low pH has also been shown to induce cytotoxic effects when in direct contact with periodontal cells . The factors influencing the effects of citric acid on root surface include concentration of the acid pH of the acid, duration of application and mode of application. Tetracycline hydrochloride: The tetracyclines are a group of bacteriostatic antimicrobials effective against a wide range of organisms. The unique property of drugs of this group is their ability to modulate the host response. This antimicrobial group of drugs has been shown to have matrix metalloproteinase inhibitory and anti-inflammatory properties. Along with this, tetracycline hydrochloride inhibits microbial attachment and has root surface conditioning properties . It has been demonstrated that tetracycline conditioning of the root surfaces not only removes the surface smear layer, but also inhibits collagenase activity and bone resorption and by its local antimicrobial effects . • It enhances attachment and growth of gingival fibroblasts, thus facilitating regeneration. • It has anti-collagenase activity. • It has anti-inflammatory properties. • It has high substantivity. It also has an indirect relation to regeneration. Application of low pH tetracycline increases fibronectin and other extracellular matrix glycoprotein binding to the root surface, thereby enhancing fibroblast attachment and growth on the root surface. At the same time it suppresses the proliferation and growth of epithelial cells. Tetracycline hydrochloride has sustained release from root surface for at least 48 hours and up to 14 days, which provides its antibacterial properties during healing period . It was demonstrated that 10 or 100 mg/ml solutions of tetracycline hydrochloride were sufficiently concentrated to remove the smear layer and expose a regular pattern of open dentinal tubules . The application time suggested is 2-3 minutes  since long etching time of 3 minutes and above has been shown to impair periodontal healing . Effect of citric acid and tetracycline hydrochloride on fibroblast behaviour: Studies have demonstrated that they can also influence fibroblast behaviour thereby improving their attachment and migration on root surface. The proposed mechanisms by which these influence fibroblast behaviour are [16,40-42]. Ethylene-diamine-tetra-aceticacid (EDTA): Use of acidic agents to demineralize the root surface had a drawback of adversely affecting the surrounding tissues. So, a chemical agent that could remove the smear layer and demineralize the tooth surface at neutral pH was required. EDTA is a chelating agent which is used widely during endodontic treatment. EDTA exerts its demineralizing effect through chelating divalent cations at neutral pH. Studies have shown that application of 18% EDTA on root surface improves fibroblast attachment and migration on the root surface and also facilitates development of an oriented fiber attachment system between the demineralized surfaces [43,44]. On the contrary, results of some other studies which used 24% of EDTA (pH 7.07.2) and applied it to root surfaces for 23 minutes showed no difference in probing depth, clinical attachment level and probing bone levels between EDTA treatment and control root surfaces [45,46]. Fibronectin: Fibronectin is a high molecular weight extracellular matrix glycoprotein with a molecular weight of approximately 440 KDa. It is a dimer consisting of two nearly identical monomer strands linked by a pair of disulphide bonds . It is involved in many cellular processes, including tissue repair, embryogenesis, blood clotting, and cell migration/adhesion. It has a chemoattractant effect on fibroblasts and mesenchymal cells and it also promotes cell adhesion to both collagen and scaled root surfaces. One important function of fibronectin is that it acts as a non specific opsonin. It binds to actin and DNA, thus promoting cellular and tissue debris removal by macrophages. It has been shown that the application of fibronectin to partial demineralized root surfaces enhances new attachment and cell proliferation from periodontal ligament and supra crestal area . Optimum concentration for fibronectin application has been shown to be 0.38 mg/ml saline. Laminin: The most abundant components of basement membranes are the laminins and type IV collagens. While collagen has some adhesion promoting activity, laminin has been demonstrated to have potent actions on cells: stimulating cell adhesion, growth, differentiation, and migration [49-51]. It has been shown that laminin promotes gingival epithelial chemotaxis and in addition, movement of gingival fibroblasts. The affinity of laminin and fibronectin are not same towards mineralized surface. A mineralized surface attract laminin which favours epithelial proliferation whereas a demineralized surface attract fibronectin and favour fibroblast proliferation . Doxycycline: Doxycycline belongs to the tetracycline group of drugs. It is an effective antimicrobial agent against periodontal pathogens. Along with this, it has anti enzymatic properties. Topical application of doxycycline has shown a long lasting substantivity on periodontally diseased root surfaces. It has been demonstrated that the antibacterial effect of doxycycline persists on the conditioned root surface upto 14 days . Polyacrylic acid: Being a weak acid polyacrylic acid has been used as root surface conditioning agent. Its acid etching effect removes smear layer from the root surface making it more suitable for healing. One study compared periodontal healing after application of polyacrylic acid for 20 seconds and citric acid application for 3 minutes on root surface. Results demonstrated a greater connective tissue adhesion to root surface in case of polyacrylic acid treated teeth as compared to citric acid treated teeth . Because a little clinical data is available regarding effect of polyacrylic acid on root surface and its biological effects, more clinical research is required to authenticate its clinical use. Many other agents such as phosphoric acid, formaline, chlorhexidine, hydrogen peroxide, cetyl pyridium chloride and sodiumnlauroyl sarcosine, Cohnns factor and bile salts and plasma fractions have also been investigated as root surface biomodification agents, but there is scanty evidence available for their use in comparison to routinely used agents such as citric acid, tetracycline hydrochloride or EDTA. Platelets are important component of blood coagulation cascade. Major components of platelet structure are secretory granules (primary, secondary and tertiary granules), which contain growth factors, coagulation proteins, adhesion molecules, cell activating molecules, cytokines, integrins, inflammatory molecules, and some other molecules, which are synthesized in megakaryocytes and packaged into the granules through vesicle trafficking processes. The concept behind PRP application for periodontal regeneration is to obtain high density platelet concentrate from patient’s own blood and then applying this concentrate in the area of periodontal wound healing where regeneration is desired. Platelet derived growth factor (PDGF) is a major mitogen for fibroblasts, smooth muscle cells, and other cells . Platelets synthesize a mixture of the three possible PDGF isoforms (70% AB, 20% BB, 10% AA) . It has been shown that PDGFAB is a potent stimulator of DNA synthesis in fibroblasts . 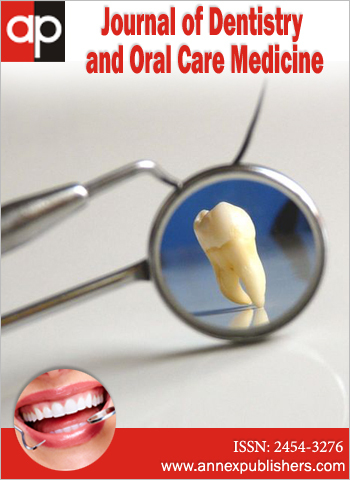 Application of growth factors for periodontal regeneration is a major focus of research presently. Various growth factors which are believed to contribute to periodontal regeneration include the platelet derived growth factor (PDGF), insulin like growth factor (IGF), transforming growth factor (TGF), epidermal growth factor (EGF), fibroblast growth factor (FGF), and bone morphogenetic protein (BMP). In general, these growth factors promote proliferation of fibroblasts from the periodontal ligament and favour bone formation. Research has provided evidence for improved cellular response following growth factor application. The effect of human platelet derived growth factor- BB on attachment of periodontal ligament cells on root surfaces was investigated. The results demonstrated that citric acid combined with platelet derived growth factor-BB showed better results than EDTA and tetracycline hydrochloride on attachment of periodontal ligament cells on root surfaces . Recently in an in- vitro study it was seen that the combination of EMD and PDGF-BB produces greater proliferative and wound-fill effects on PDL cells than each by themselves. If these combined effects can be translated clinically, one may see greater regeneration in periodontal defects with this combination . In another study it was seen that EMD and TGF-β1 may play an important role in periodontal regeneration. EMD induced PDL fibroblast proliferation and migration, total protein synthesis, ALP activity, and mineralization, while TGF-β1 increased cellular adhesion. However, the combination of both factors did not positively alter PDL fibroblast behaviour . PDGF-BB in concentrations equal to or greater than 50 ng/ml demonstrates a significant stimulation of PDL cells adherence to periodontal diseased root surface. Hence it has an important role in promotion of the PDL healing and can be useful in clinical application for the promotion of regeneration of the periodontal tissue . It is well established that organic matrix play a key role in mineralization. The enamel matrix proteins are involved in early tooth development and play a vital role during formation of cementum, periodontal ligament and alveolar bone. Application of enamel matrix proteins on root surface creates a biological environment similar to that during tooth development favouring periodontal regeneration. In recent year’s biomodification of root surface with Enamel Matrix Protein during surgery, following demineralization with EDTA has been introduced. It is based on the biologic concept that the application of Enamel Matrix Protein (amelogenins) may promote periodontal regeneration as it mimics events that take place during the development of periodontal tissues . Clinical trials have been conducted for the assessment of the effectiveness of Enamel Matrix Protein regarding its ability to improve periodontal health. In vitro (cell culture) exposure of fibroblasts to EMD’s was done to find out fibroblast response to these proteins. It was found that EMD’s enhanced proliferation of PDL cells, but not epithelial cells. Total protein production by PDL cells was increased and mineralized nodule formation of PDL cells was also increased . Other potential mechanisms which potentiate periodontal regeneration upon EMD application include increase attachment of periodontal ligament fibroblasts to diseased root surfaces , increased production of growth factor , limiting epithelial down growth , and increased matrix formation by affecting fibroblast mRNA levels for synthesis of matrix proteoglycans and hyaluronic acid . Emdogain®: It is the commercial available formulation of EMD. It is extracted from developing embryonal enamel of porcine origin and contains several matrix proteins from the amelogenin family. Several studies have shown that EMD influences the migration, attachment, proliferative capacity and biosynthetic activity of periodontal ligament cells [59,67-69]. HA is an essential component of the periodontal ligament matrix and plays various important roles in cell adhesion, migration and differentiation mediated by the various HA binding proteins and cell-surface receptors such as CD44 . HA has been studied as a metabolite or diagnostic marker of inflammation in the gingival crevicular fluid (GCF) as well as a significant factor in growth, development and repair of tissues . Hyaluronan has numerous roles in the initial inflammatory stages such as the provision of a structural framework via the interaction of Hyaluronan with the fibrin clot, which modulates host’s inflammatory and extracellular matrix cell infiltration into the inflamed site. Hakansson, et al. suggested role of Hyaluronan in migration and adherence of polymorphonuclear leukocytes and macrophages at the inflamed site and the phagocytosis and killing of invading microbes . HA accelerates the bone regeneration by means of chemotaxis, proliferation and successive differentiation of mesenchymal cells. HA shares bone induction characteristics with osteogenic substances such as bone morphogenetic protein-2 and osteopontin . Gengigel® (Ricerfarma S.r.l., Milano, Italy) contains high molecular weight fractions of HA in a gel formulation with 0.2% concentration for its effect in the treatment of plaque-induced gingivitis as an adjunct to SRP . Hyaluronan also induces the production of proinflammatory cytokines by fibroblasts, keratinocytes, cementoblasts and osteoblasts which promote the inflammatory response and consequently stimulate hyaluronan synthesis by endothelial cells . Lasers have been studied for their effect on root surface [76-82] as well as for their effects on the behaviour on periodontal ligament cells [83-85]. Although, laser therapy has been widely studied in periodontics for pocket debridement, wound healing and in various surgical approaches but there is insufficient data available regarding its efficacy in root surface biomodification when compared with other traditionally used root surface conditioners. A study concluded that the usage of the CO2 and Er:YAG laser at the determined power settings can treat dentin hypersensitivity and reduce its symptoms significantly. However, the Er:YAG laser has a greater effect on tubular occlusion with less thermal change; thus it may act as a useful conditioning tool under such conditions . An in vivo study examined morphologic alterations in the periodontal pocket epithelium with presence or absence of clinical inflammation following the use of the Neodymium: Yttrium-Aluminum-Garnet (Nd:YAG) laser irradiation. The SEM and histologic findings demonstrated the feasibility of ablating pocket epithelium with an Nd:YAG laser irradiation using parameters of 2 W of power (200 mJ, 10 pps). Furthermore, the presence or absence of clinical inflammation appeared to have an impact on the degree of laser-mediated epithelial ablation . One study was aimed at evaluating the effect of Er:YAG laser irradiation at 100mJ, 15pps on root surface using scanning electron microscope, to determine the laser’s ability to remove lipopolysaccharides using infrared spectrometry. The results of the study showed that Er:YAG laser could remove 83% of lipopolysaccharide from the root surface, suggesting Er:YAG laser as a useful root conditioner . Laser application on root surface has a significant effect on fibroblast attachment. In an in vitro study, the effect of Nd:YAG laser (at energy 75 mJ at 20 pulse/sec using a 320 μm contact fiber for 1 minute) was evaluated on fibroblast attachment to non-diseased root surfaces. The study concluded that laser exposure denatures the surface protein which inhibits fibroblast attachment . It is well established that the periodontally diseased root surface does not favour regeneration of the periodontium due to its surface characteristics. Demineralization has been shown to alter the diseased root surface, creating a more acceptable surface that can influence events in wound healing. An understanding of the early events in wound healing, therefore, appears critical to the selection of appropriate agents and their potential to promote regeneration. However evidence to date suggests that the use of root conditioning agents to modify the root surface provides no benefit of clinical significance for regeneration in patients with chronic periodontitis . Histologic evidence seems to suggest that new connective tissue attachment and some limited regeneration may result from root surface conditioning. However, this histologic healing pattern does not result in significant improvement in clinical conditions beyond non-acid treated control sites. These results should be interpreted in light of the inability of clinical measurements to delineate the type of new attachment that has resulted post-treatment . The best method for ascertaining the clinical efficacy of acid-treated root regeneration would be to conduct a randomized clinical trial with sufficient statistical power . In the future clinical procedures which rely on biological principles for root biomodification may create successful regenerative method using root conditioning agents. Evidence does not support the use of citric acid, tetracycline and EDTA to reduce probing depth or enhance clinical attachment levels. They may have a role in removal of smear layer and detoxification but this too has been proved only in in-vitro and animal studies . As this literature review is the divide between old and new schools of thought, it deserves a mention. 1 Alpistc Illucca FM, Buitrago Vera P, dc Grado Cabaniles P, Feunmayor Fernandez V, Gil Loscos FJ ( 2006) Periodontal regeneration in clinical practice. Med Oral Patol Oral Cir Bucal 11: E382-92. 2 Selvig KA (1969) Biological changes at the tooth-saliva interface in periodontal disease. J Dent Res 48: 846-55. 3 Selvig KA, Hals E (1977) Periodontally diseased cementum studied by correlated microradiography, electron probe analysis and electron microscopy. J Periodont Res 12: 419-29. 4 Selvig KA, Zander HA (1962) Chemical analysis and microradiography of cementum and dentin from periodontally diseased human teeth. J Periodontol 33: 303-10. 5 Adriaens PA, Edwards CA, DeBoever JA, Loesche WJ (1988) Ultrastructural observations on bacterial invasion in cementum and radicular dentin of periodontally diseased human teeth. J Periodontol 59: 493-503. 6 Aleo JJ, DeRenzis FA, Farber PA, Varboncoeur AP (1974) The presence of biologic activity of cementum-bound endotoxin. J Periodontol 45: 672-5. 7 Hatfield CG, Baumhammers A (1971) Cytotoxic effects of periodontally involved surfaces of human teeth. Arch Oral Biol 16: 465-8. 8 Mariotti A (2003) Efficacy of chemical root surface modifiers in the treatment of periodontal disease. A systematic review. Ann Periodontol 8: 205-26. 9 Boyko GA, Brunett DM, Melcher AH (1980) Cell attachment to demineralized root surfaces in vitro. J Periodontal Res 15: 297-03. 10 Blomlof JP, Blomlof LB, Lindskog SF (1996) Smear removal and collagen exposure after non-surgical root planing followed by etching with an EDTA gel preparation. J Periodontol 67: 841-5. 11 Polson AM, Frederick GT, Ladenheim S, Hanes PJ (1984) The production of a root surface smear layer by instrumentation and its removal by citric acid. J Periodontol 55: 443-6. 12 Marshall CA (1883) A remarkable ease of pyorrhea alveolaris, with reproduction of bone, occurring in the practice of Dr. Allport, Chicago, III. J Am Med Assoc 1: 641-43. 13 Stewart HS (1899) Partial removal of cementum and decalcification of a tooth in the treatment of pyorrhea alveolaris. Dent Cosmos 41: 617-26. 14 Urist MR (1965) Bone: formation by autoinduction. Sci 150: 893-9. 15 Register AA (1973) Bone and cementum induction by dentin, demineralized in situ. J Periodontol 44: 49-54. 16 Polson A, Proye M (1982) Effect of root surface alteration on periodontal healing. II. Citric acid treatment of the denuded root. J Clini Periodontol 9: 441-54. 17 Terranova VP, Franzetti LC, Hic S, DiFlorio RM, Lyall RM, et al. (1986) A biochemical approach to periodontal regeneration: tetracycline treatment of dentin promotes fibroblast adhesion and growth. J Periodontal Res 21: 330-7. 18 Nyman S, Lindhc J, Kaning T (1981) Healing following surgical treatment and root demineralization in monkeys with periodontal disease. J Clin Periodontol 8: 249-58. 19 Hanes PJ, Poison AM, Ladenheim S (1985) Cell and fiber attachment to demineralized dentin from normal root surfaces. J Periodontol 6: 752-65. 20 Suchetha A, Darshan BM, Prasad R, Bharwani Ashit G (2011) Root Biomodification- A Boon or Bane? Indian J Stomatol 2: 251-5. 21 Isik G, Ince S, Saglam F, Onan U (1997) Comparative SEM study on the effect of different demineralization methods with tetracycline HCl on healthy root surfaces. J Clin Periodontol 24: 589-94. 22 Babay N (2001) The effect of EDTA on the attachment and growth of cultured human gingival fibroblasts in periodontitis- affected root surface. J Contemp Dent Pract 2: 13-23. 23 Blomlof J, Lindskog S (1995) Root surface texture and early cell and tissue colonization after different etching modalities. Eur J Oral Sci 103: 17-24. 24 Barkmeier WW, Jabro MH, Latta MA (1992) Scanning electronic microscopic analysis of the local effects of a periodontal scaling gel on selected surfaces. J Clin Dent 3: 39-42. 25 Wikesjo UM, Selvig KA (1999) Periodontal wound healing and regeneration. Periodontol 2000 19: 21-39. 26 Chandra RV, Jagetia GC, Bhat KM (2006) The attachment of V79 and human periodontal ligament fibroblasts on periodontally involved root surfaces following treatment with EDTA, citric acid, or tetracycline HCL: an SEM in vitro study. J Contemp Dent Pract 7: 44-59. 27 Rompen EH, Goffinet GH, Nusgens B (1999) Human periodontal ligament fibroblast behaviour on chemically conditioned dentine: an in vitro study. J Periodontol 70: 1144-52. 28 Oles RD, Ibbot CG, Laverthy WH (1985) Effects of citric acid treatment on pedicle flap coverage of localized recession. J Periodontol 56: 259-61. 29 Leite FR, Sampaio JE, Zandim DL, Dantas AA, Leite ER, et al. (2010) Influence of root surface conditioning with acid and chelating agents on clot stabilization. Quintessence Int 41: 341-9. 30 Register AA (1978) Induced reattachment in periodontal endodontic lesion by root demineralization in situ. Oral Surg Oral Med Oral Pathol 45: 774-83. 31 Hanes PJ, O’brien NJ, Garnik JJ (1991) A morphological comparison of radicular dentin following root planing and treatment with citric acid or tetracycline HCl. J Clin Periodontal 18: 660-8. 32 Haghighati F, Arefi V (2002) A comparative study on root surface demineralization using citric acid and tetracycline in vitro: a scanning electron microscopy study. Acta Medica Iranica 40: 247-55. 33 Chaves E1, Cox CF, Morrison E, Caffesse R (1993) The Effect of Citric Acid Application on Periodontally Involved Root Surfaces. II. An In Vitro Scanning Electron Microscopic Study. Int J Period ant Rust Dent 13: 189-96. 34 Lan WC, Lan WH, Chan CP, Hsieh CC, Chang MC, Jeng JH (1999) The effects of extracellular citric acid acidosis on the viability, cellular adhesion capacity and protein synthesis of cultured human gingival fibroblasts. Aust Dent J 44: 123-30. 35 Ciancio SG (1990) Antibiotics in periodontal therapy. In Newman MG, Kornman K, editors: Antibiotics/antibacterial use in dental practice, Chicago, Quintessence. 36 Madison JG, Hokett SD (1997) The effects of different tetracyclines on the root surface of instrumented, periodontally involved human teeth: A comparative scanning electron microscope study. J Periodontol 68: 739-45. 37 Wikesjo UM, Baker PJ, Christersson LA, Genco RJ, Lyall RM, et al. (1986) A biochemical approach to periodontal regeneration: Tetracycline treatment conditions dentin surfaces. J Periodont Res 21: 322-9. 38 Penmatsa T, Varma S, Mythili, Rao KP, Kishore T, Bindu H (2013) Effect of various concentrations of tetracycline hydrochloride demineralization on root dentin surface: A scanning electron microscopic study. J Pharm Bioallied Sci 5: S48-53. 39 Blomlf J, Jansson K, Blomlf L, Lindskog S (1995) Long time etching at low pH jeopardizes periodontal healing. J Clin Periodontol 22: 459-63. 40 Register AA, Burdick FA (1975) Accelerated reattachment with cementogenesis to dentin, demineralized in situ. I. Optimum range. J Periodontol 46: 646-55. 41 Garrett JS, Crigger M, Egelberg J (1978) Effects of citric acid on diseased root surfaces. J Periodontal Res 13: 155-63. 42 Misra V, Mehrotra KK, Dixit J, Maitra SC (1999) Effect of a carbon dioxide laser on periodontally involved root surfaces. J Periodontol 70: 1046-52. 43 Pitaru S, Melcher AH (1987) Organization of an oriented fibre system in vitro by human gingival fibroblasts attached to dental tissue: relationship between cells and mineralized and demineralized tissue. J Periodontol Res 22: 6-13. 44 Pitaru S, Melcher AH (1983) Orientation of gingival fibroblasts and newly synthesized Collagen fibers in vitro. Resemblance to transseptal and dentogingival fibers. J Periodontal Res 18: 483-500. 45 Blomlof L, Jonsson B, Blomlof J, Lindskog S (2000) A Clinical study of root surface conditioning with an EDTA gel. II. Surgical periodontal treatment. Int J Periodontics Restorative Dent 20: 567-73. 46 Mayfield L, Soderholm G, Norderyd O, Attstrom R (1998) Root conditioning using EDT A gel as an adjunct to surgical therapy for the treatment of intraosseous periodontal defect. J Clin Periodontol 25: 707-14. 47 Yamada K (1984) Fibronectin and its interactions at the cell surface. Prog Clin Biol Res 151: 1-5. 48 Smith B, Caffesse R, Nasjleti C, Kon S, Castelli W (1987) Effects of citric acid and fibronectin and laminin application in treating periodontitis. J Clin Periodontol 14: 396-402. 49 Grant ME, Heathcote JG, Orkin RW (1981) Current concepts of basement membrane structure and function. Biosci Rep 1: 819-42. 50 Hay ED (1981) Cell Biology of the Extracellular Matrix. Plenum Press, New York 409. 51 Kleinman HK, Cannon FB, Laurie GW, Hassell JR, Aumailley M, et al. (1985) Biological activity of laminin. J Cell Biochem 27: 317-25. 52 Terranova V, Martin S (1982) Molecular factors determining gingival tissue interactions with tooth structure. J Periodontal Res 17: 530-3. 53 Demirel K, Baer PN, McNamara TF (1991) Topical application of doxycycline on periodontally involved root surfaces in vitro: Comparative analysis of subtantivity on cementum and dentin. J Periodontol 62: 312-6. 54 Wiland BB, Hancock EB, Kafrawy AH (1990) The effect of polyacrylic acid on root surface. Research forum abstracts, Annual meeting of AAP at Dallas, Texas, USA. 55 Raines EW, Bowen-Pope DF, Ross R (1990) In Platelet Derived Growth Factor, eds Sporn MB, Roberts AB (SpringerVerlag, Heidelberg) 95: 173-262. 56 Okuda H, Murakami S (1998) Cytokine expression in periodontal health and disease. Crit Rev Oral Bio Med 9: 248-66. 57 Wang HL, Pappert TD, Castelli WA, Chiego DJ, Shyr Y, et al. (1994) The effect of platelet derived growth factor on the cellular response of the periodontium: an autoradiographic study on dogs. J Periodontol 65: 429-36. 58 Becerik S, Sonmez S, Sen BH, Deliloglu-Gurhan I, Evrenosoglu E (2009) Effect of human platelet derived growth factor-BB on attachment of periodontal ligament cells on root surfaces. Saudi Med J 30: 60-6. 59 Rodrigues TL, Marchesan JT, Coletta RD, Novaes AB, Grisi MFM, et al. (2007) Effects of enamel matrix derivative and transforming growth factor-b1 on human periodontal ligament fibroblasts. J Clin Periodontol 34: 514-22. 60 Gamal AY, Mailhot JM (2000) The effect of local delivery of PDGF-BB on attachment of human periodontal ligament fibroblasts to periodontitis-affected root surfaces – in vitro. J Clin Periodontol 27: 347-53. 61 Hammarstro ML (1997) Enamel matrix, cementum development and regeneration. J Clin Periodontol 24: 658-68. 62 Gestrelius S, Andersson C, Lidström D (1997) In vitro studies on periodontal ligament cells and enamel matrix derivative. J Clin Periodontol 24: 685-92. 63 Hoang AM, Klebe RJ, Steffensen B, Ryu OH, Simmer JP, et al. (2002) Amelogenin is a cell adhesion protein. J Dent Res 81: 497-500. 64 Lyngstadaas SP, Lundberg E, Ekdahl H, Andersson C, Gestrelius S (2001) Autocrine growth factors in human periodontal ligament cells cultured on enamel matrix derivative. J Clin Periodontol 28: 181-8. 65 Caton JG, Nyman S, Zander H (1980) Histometric evaluation of periodontal surgery (II). Connective tissue attachment levels after four regenerative procedures. J Clin Periodontol 7: 224-31. 66 Haase HR, Bartold PM (2001) Enamel matrix derivative induces matrix synthesis by cultured human periodontal fibroblast cells. J Periodontol 72: 341-8. 67 Zeldich E, Koren R, Nemocovsky C, Weinreb M (2007) Enamel matrix derivative stimulates human gingival fibroblast proliferation via ERK. J Dent Res 86: 41-6. 68 Takayanagi K, Osawa G, Naakaya H, Cochran DL, Kamoi K, et al. (2006) Effects of enamel matrix derivative on bone-related mRNA expression in human periodontal ligament cells in vitro. J Periodontol 77: 891-8. 69 Sculean A, Schwarz F, Becker J, Brecx M (2007) The application of an enamel matrix derivative (Emdogain) in regenerative periodontal therapy: a review. Med Princ Pract 16: 167-80. 70 Oksala O, Salo T, Tammi R, Häkkinen L, Jalkanen M, et al. (1995) Expression of proteoglycans and hyaluronan during wound healing. J Histochem Cytochem 43: 125-35. 71 Pogrel MA, Lowe MA, Stern R (1996) Hyaluronan (hyaluronic acid) in human saliva. Arch Oral Biol 41: 667-71. 72 Håkansson L, Hällgren R, Venge P (1980) Regulation of granulocyte function by hyaluronic acid. In vitro andin vivo effects on phagocytosis, locomotion, and metabolism. J Clin Invest 66: 298-305. 73 Mendes RM, Silva GA, Lima MF, Calliari MV, Almeida AP, et al. (2008) Sodium hyaluronate accelerates the healing process in tooth sockets of rats. Arch Oral Biol 53: 1155-62. 74 Jentsch H, Pomowski R, Kundt G, Göcke R (2003) Treatment of gingivitis with hyaluronan. J Clin Periodontol 30: 159-64. 75 Larjava H, Heino J, Kähäri VM, Krusius T, Vuorio E (1989) Characterization of one phenotype of human periodontal granulation-tissue fibroblasts. J Dent Res 68: 20-5. 76 Barone A, Covani U, Crespi R, Romanos GE (2002) Root surface morphological changes after focused versus defocused CO2 laser irradiation: a scanning electron microscopy analysis. J Periodontol 73: 370-3. 77 Ito K, Nishikata J, Murai S (1993) Effects of Nd:YAG laser radiation on removal of a root surface smear layer after root planing: a scanning electron microscopic study. J Periodontol 64: 547-52. 78 Wilder Smith P, Arrastia AM, Schell MJ, Liaw LH, Grill G, et al. (1995) Effect of ND:YAG laser irradiation and root planing on the root surface: structural and thermal effects. J Periodontol 66: 1032-9. 79 Tewfik HM, Garnick JJ, Schuster GS, Sharawy MM (1994) Structural and functional changes of cementum surface following exposure to a modified Nd:YAG laser. J Periodontol 65: 297-302. 80 Israel M, Cobb CM, Rossmann JA, Spencer P (1997) The effects of CO2, Nd:YAG and Er:YAG lasers with and without surface coolant on tooth root surfaces: an in vitro study. J Clin Periodontol 24: 595-602. 81 Yamaguchi H, Kobayashi K, Osada R, Sakuraba E, Nomura T, et al. (1997) Effects of irradiation of an Erbium:YAG laser on root surfaces. J Periodontol 68: 1151-5. 82 Folwaczny M, Mehl A, Haffner C, Benz C, Hickel R (2000) Root substance removal with Er:YAG laser radiation at different parameters using a new delivery system. J Periodontol 71: 147-55. 83 Crespi R, Barone A, Covani U, Ciaglia RN, Romanos GE (2002) Effects of CO2 laser treatment on fibroblast attachment to root surfaces: a scanning electron microscopy analysis. J. Periodontol 73: 1308-12. 84 Pant V, Dixit J, Agrawal AK, Seth PK, Pant AB (2004) Behavior of human periodontal ligament cells on CO2 laser irradiated dentinal root surfaces: an in vitro study. J Periodontal Res 39: 373-9. 85 Feist IS, De Micheli G, Carneiro SR, Eduardo CP, Miyagi S, et al. (2003) Adhesion and growth of cultured human gingival fibroblasts on periodontally involved root surfaces treated by Er:YAG laser. J Periodontol 74: 1368-75. 86 Belal MH, Yassin A (2014) A comparative evaluation of Co2 and erbium doped yttrium aluminium garnet laser therapy in the management of dentin hypersensitivity & assessment of mineral content. J Periodontal Implant Sci 44: 227-34. 87 Chun-Chan T, Mitsuo F, Tomohisa W, Atsushi S, Akio M, et al. (2014) Morphological Alterations of Periodontal Pocket Epithelium Following Nd:YAG Laser Irradiation Photomedicine and Laser Surgery. 32: 649-57. 88 Thomas D, Rapley J, Cobb CM, Spencer P, Killoy W (1994) Effects of the Nd:YAG laser and combined treatments on in vitro fibroblast attachment to root surface. J Clin Periodontol 21: 38-44. 89 Garrett S (1996) Periodontal Regeneration Around Natural Teeth. Ann Periodontol 1: 621-66.